For the third time in four years I am teaching a one-month Winter Term class at Middlebury College entitled Building the Japanese Boat. 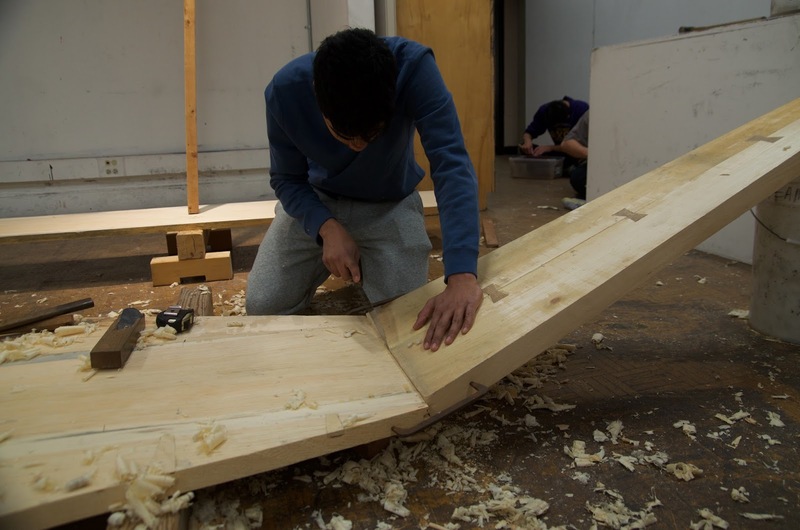 In this class fifteen students build a traditional boat using Japanese tools and methods, but mostly the class is intended to explore apprentice learning. We work largely in silence. It also includes readings, journals, and a final paper. I blogged about previous Winter Term classes here and here. This year we are building a larger version of one of the boats we made in our inaugural class: a 21-foot long ayubune from the Hozu River near Kyoto. We are half way through the class as I write this post. 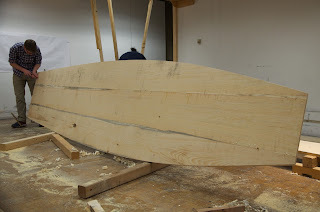 If things go well this week I may decide we can build a second, smaller boat. 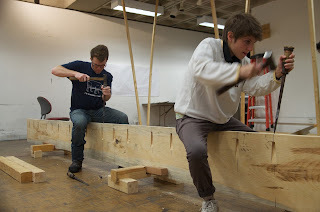 On February 1st we will have a Shinto boat launching in the College swimming pool. 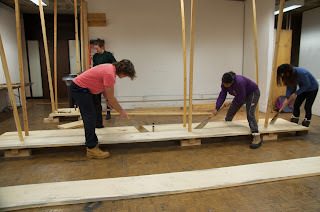 Students beginning the process of fitting the planks for the bottom: planks braced overhead, they saw through the seam to create a tight fit, a technique called suriawase. 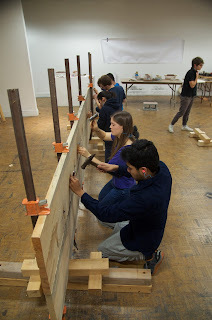 Chiseling pilot holes for our edge-nails. 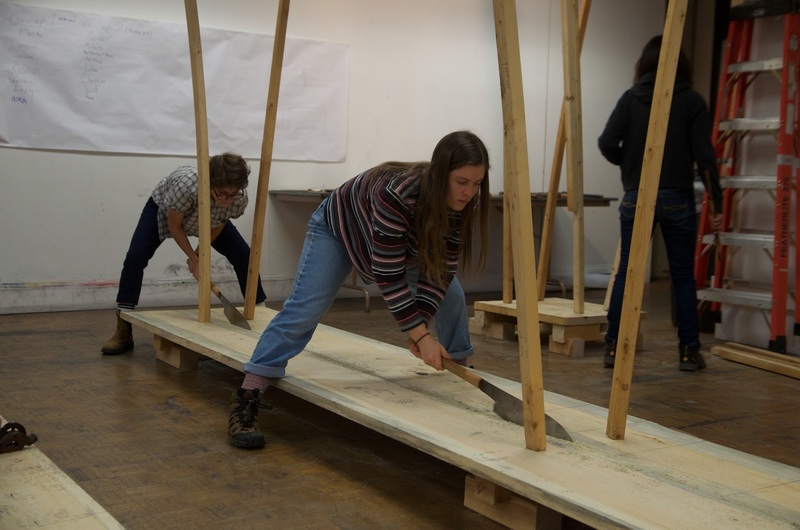 Students have to chisel from the edge of the plank back to the base of the mortises they cut in the plank face using special chisels called tsubanomi. Two of the three bottom planks clamped together while students drive the edge nails. These are made of flat steel stock for us by blacksmith Jim Fecteau of Huntington River Smithy. 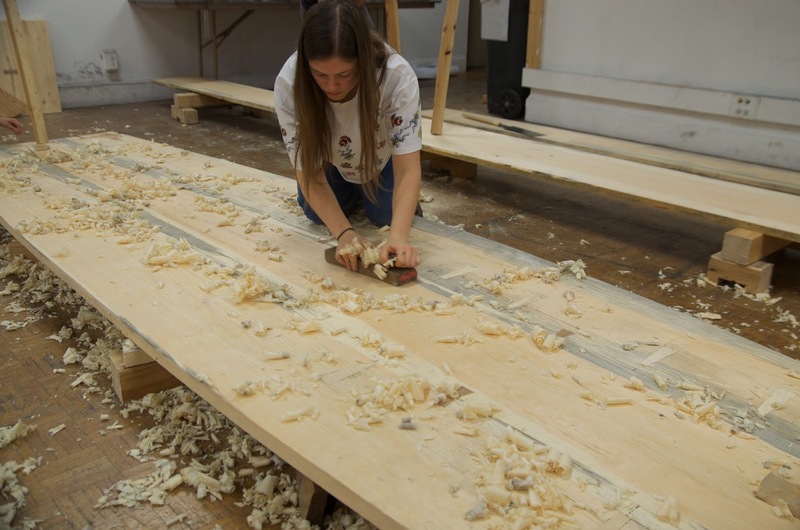 Fitting the bow transom. The Hozu River boats feature wide bow transoms because this is a white water stream and the added buoyancy keeps the bow of the boat from burying when traveling downstream. A student finish planing our bottom. 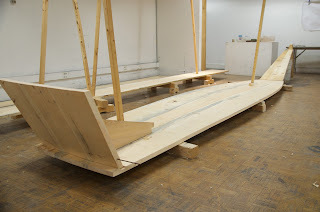 These boats are propelled by bamboo poles used aft, and short paddles used near the bow. 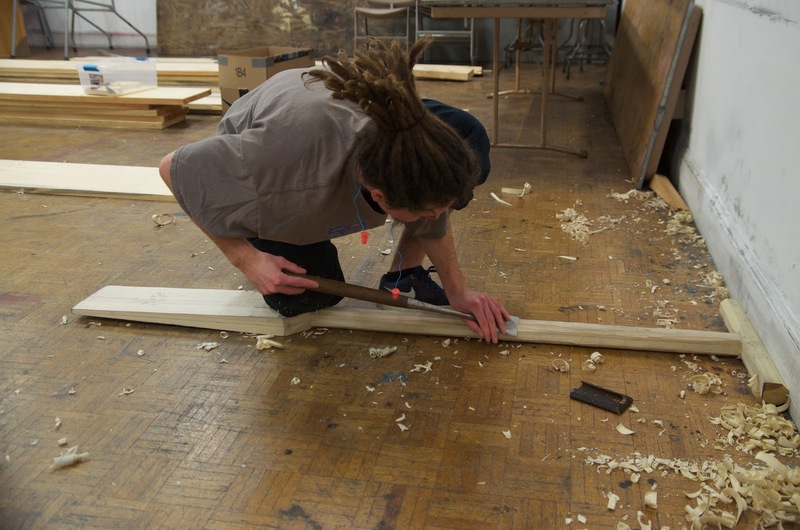 Here a student shapes our paddle using the Japanese slick, or tsukinomi. We have begun scarfing together material for our two side planks using traditional joinery. As of the midpoint of our course the backbone is complete. 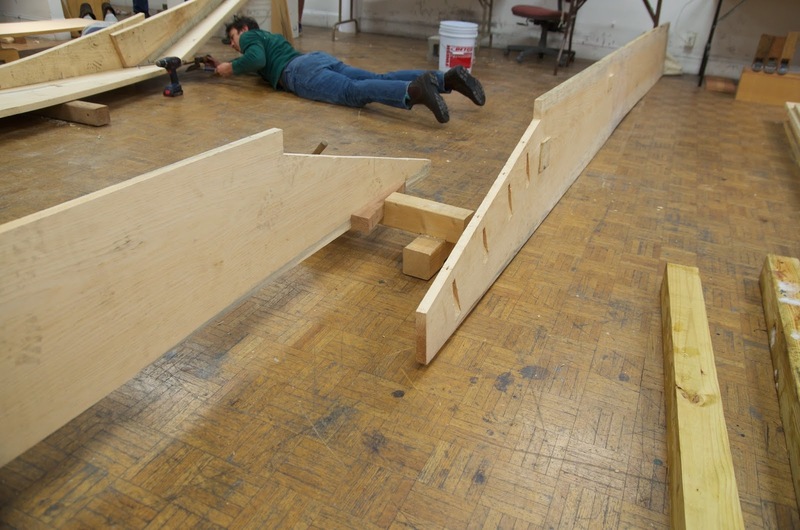 This week we will build and hang the side planks.